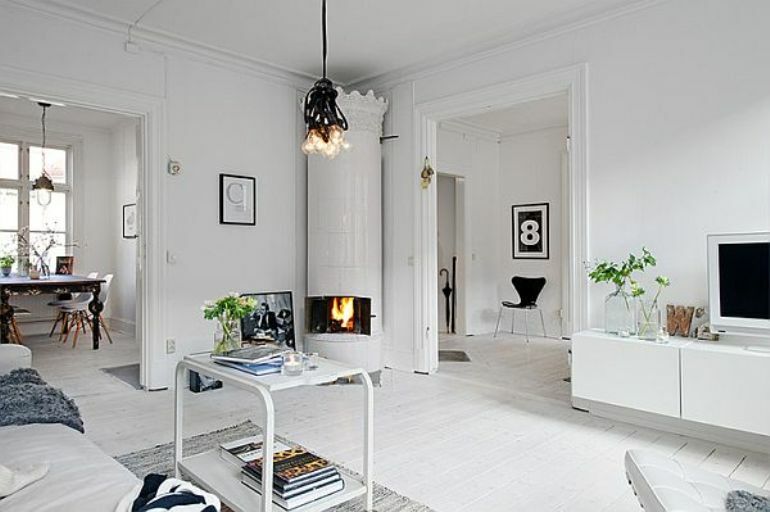 Simplistic, stark, Scandinavian home décor has made a comeback. Inspired, at least in part, by the rise of Nordic Noir TV (The Killing, The Bridge) , minimalism has met rustic in the form of straight lines, stripped pine, careful fabrics and splashes of muted colour. Of course this look is far from new, but 2014 design is as much about nostalgia as it is about modernity, and this new minimalism is both thoughtful and liveable. A key component of liveability is affordability, and Scandinavian style is the epitome of accessible interior design. 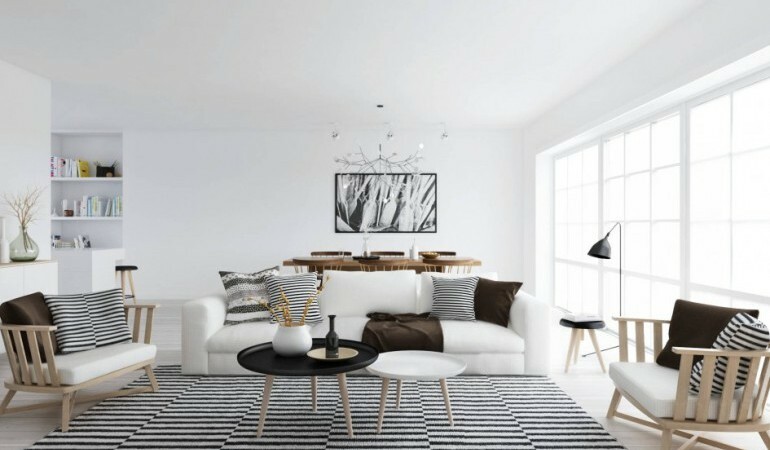 However, even though there are some tried-and-tested avenues for obtaining one particular Scandinavian look, the highest principles of interior design adhere to a strict tenet of originality. Creating an honest, original design for your home may sound easier-said-than-done, however doing so is perfectly possible providing you know where to start. Luckily, Scandinavian style is all about stripping design back to its bare essentials, starting from the ground up. Natural materials form the foundation of this simplistic, rustic design standard; however, heavy woods, rich varnishing and sumptuous colours have been abandoned in favour of a soothing palette that’s been stripped back to just the bare essentials. 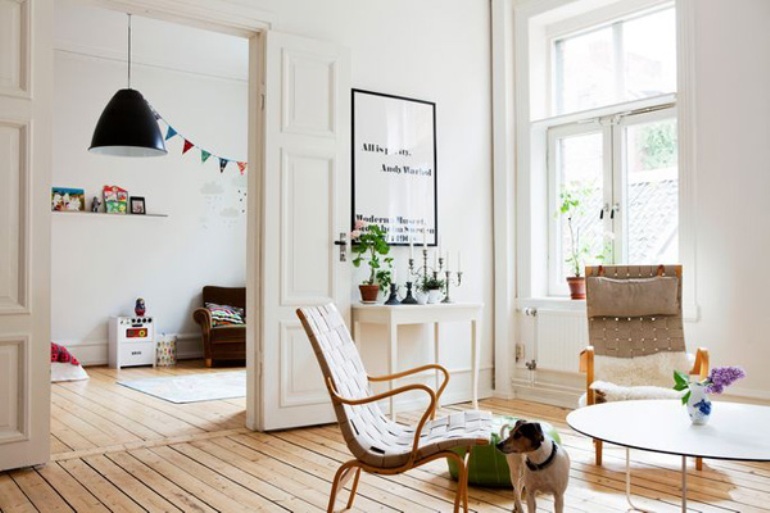 Wood flooring is the perfect place in which one can observe the transformative power of this process of paring back, and is also just one of the many areas in which Scandinavian style can be easily achieved in the home, at little cost. Old floors can easily be given new life by taking them back to a natural state, and it is in this state that we find the perfect pairing of old and new. Another easy way to achieve this look is through the careful use of colour. Your palette should be sparse, but not wanting. Perhaps the best way to begin this kind of project is by taking your walls back to neutral – just as you did with your floors. Beginning with a crisp white canvas will allow you to identify the places wherein colour is needed, rather than those points at which colour becomes a mediation. Scandinavian style is unapologetic and unquestioning – its straight lines and pure forms draw a clear delineation between the hustle and bustle of the exterior and the tranquil, meditative interior space. Achieving minimalism in furniture doesn’t mean having to do away with beauty. Modern Scandinavian-inspired furniture designs strike the perfect balance between cool and warm, showcasing straight lines and pure forms couched in soft colours and natural materials. Creating this look on a budget is as simple as replacing old sofa covers or sanding back old furniture. Introduce thoughtful splashes of colour in the form of rustic throws or beautiful candles, but make sure your space is as clean and tidy as your colour palette. Perhaps the easiest and most affordable way you can start to think about neo-Nordic design in your home is to begin by de-cluttering and making way for a newer, brighter way of life.